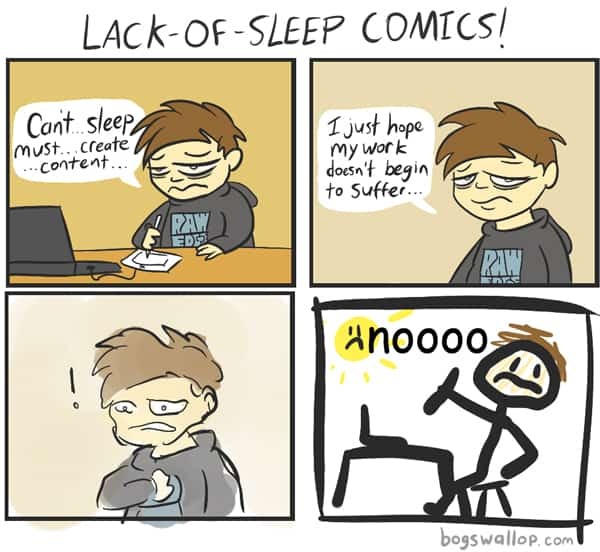 Latest Comic: Even Bloggers Need Sleep! Maybe he just needs a short break…on a futon. Yes, that’s right, just a few minutes and…zzzzzzzz. Here’s a guide to buying futon mattresses which are compact and cozy. Original author: Steven @ BogsWallop.